Critics say a standing-room-only 1M is a common sight since Capital Metro launched its new MetroRapid service. A photo from Capital Metro's MetroRapid service preview. 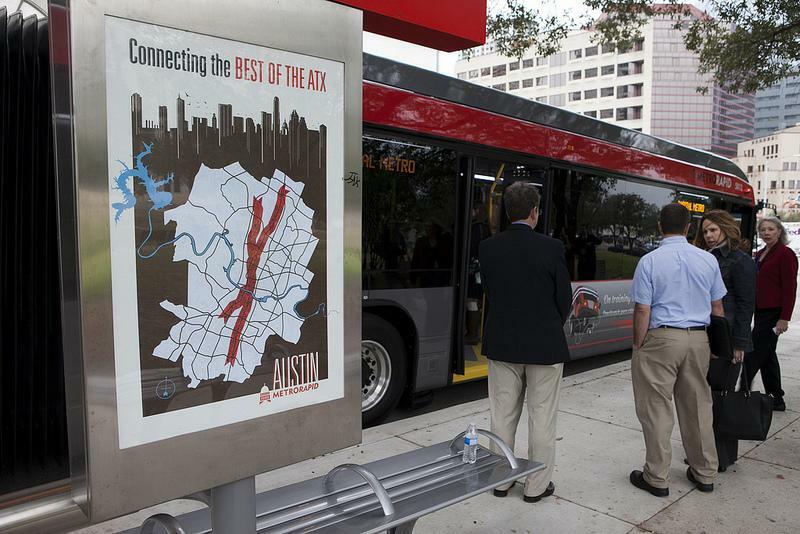 The articulated buses hit Austin streets this week. But with the launch of MetroRapid, the 101 has been discontinued, and the 1L has been folded into the 1M route – effectively halving bus frequency for Cap Metro's most traveled busses. While displaced 1L riders may move to MetroRapid, the change has created a hardship for some Cap Metro customers. In a popular thread on the Austin page of the social website Reddit, the poster says "I used to be able to catch the 1M, 1L or 101 at my bus stop every 10 minutes or so. Now I have to wait 30 minutes for the new 1 (the old 1M) and it is so crowded sometimes it doesn't even stop." Additionally, MetroRapid stops are fewer and farther between – up to one mile apart – than the 1M's stops. A photo of a standing-room-only 1M – seen above – garnered its own thread on the Austin subreddit. Roberto Gonzalez, manager of service planning for Cap Metro, says some of the issues are common with any major service change – and that the week's wintry freeze and an accident that shutdown Interstate 35 hampered service further. During those days, Gonzalez says Cap Metro was dispatching additional buses to help with the load. As for adding back additional Route 1 service, "if there's something that we need to address more permanently, then that’s what we'll end up doing," he says. "But it is very early." Not all riders can access MetroRapid with their transit passes. A local pass ($33) gets you aboard Cap Metro buses, while a premium pass ($49.50) gets you aboard MetroRapid. 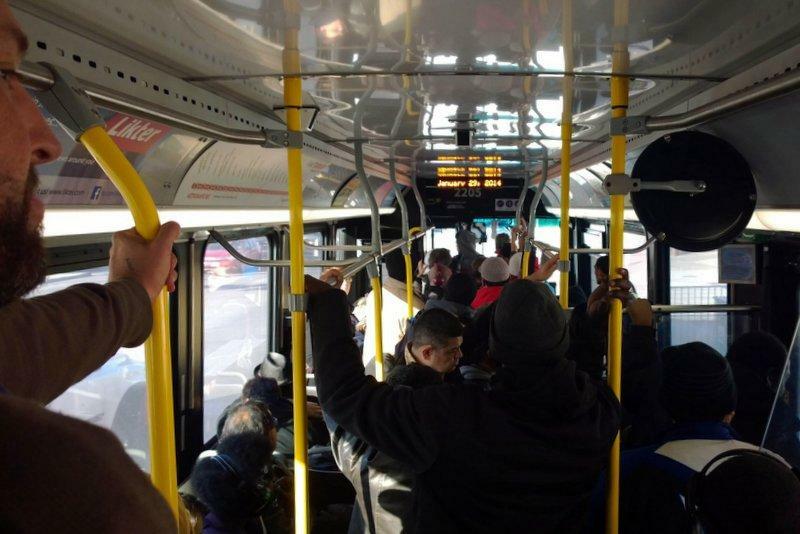 As seen on Reddit, that's also prompted complaints Cap Metro's setting up a two-tier system for its passengers. Gonzalez says local passholders can pay the difference to upgrade to a premium pass at Cap Metro's Transit Store downtown, through the end of February. "This project was to bring more frequency into the area, more carrying capacity, so that we can grow service in that zone," Gonzalez says. "So we expect it to migrate a number of riders over from Route 1 over to this new service." Correction: This post originally stated Cap Metro Local passholders could upgrade to a Premium pass for free during the month of February. Passholders have to pay for the upgrade. This post has since been updated.